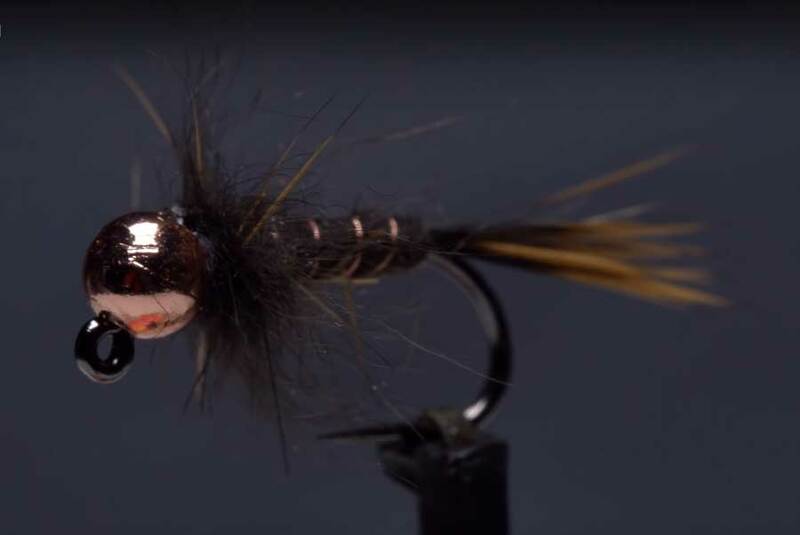 In this week’s video, Tim Flagler of Tightline Productions shows you how to tie this great Pennsylvania-born pattern, and as usual, he offers a few tricks to make it even easier to tie. The way he spins and un-spins the thread is especially useful. Hook: Black nickel jig hook (here a Lighting Strike JF2 ), size 12. Head: Copper tungsten slotted bead, 1/8-inch. Thread: Black, 6/0 or 140-denier. Tail: Woodchuck guard hairs, cleaned and stacked. Adhesive: Head cement or Sally Hansen Hard-As-Nails.